Burger King Japan surprised the public when it released its black burger series in 2012. 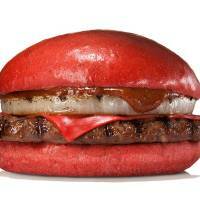 Now the fast-food chain has announced a similarly colorful promotion involving red sandwiches. 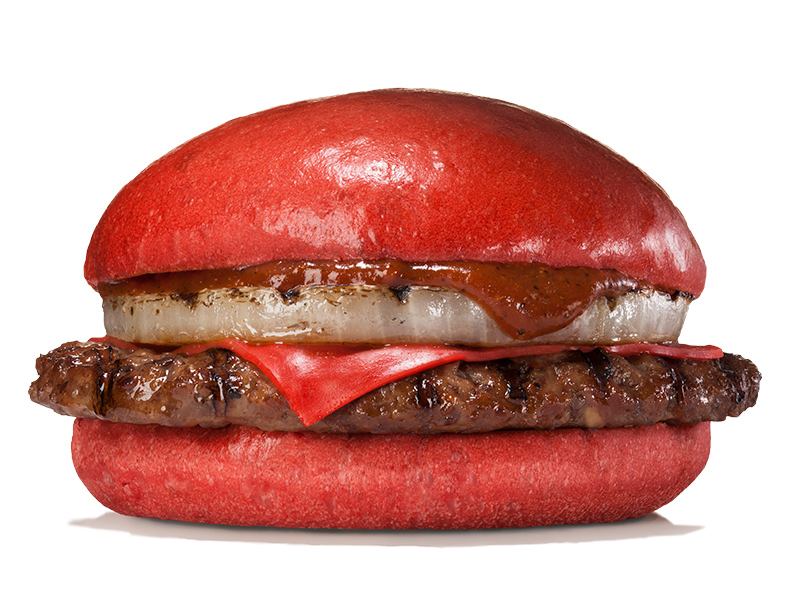 Just as the black burger series had dark black buns and cheese, the new red burgers come with red buns and cheese. Tokyo-based Burger King Japan said it will sell two types of seasonal red burger starting July 3. One is called “Aka Samurai Chicken” that sandwiches fried chicken, lettuce, tomato and cheese between red buns colored with tomato powder. The other is named “Aka Samurai Beef” and has a beef patty and sliced onion. Aka means red in Japanese. The cheese is also made with tomato powder to turn it red. Burger King Japan said since its black burger series became popular, it was looking to produce another product that can bring the same level of impact to the consumers and chose the color red. The sauce is also red. It’s based on miso paste mixed with Chinese chili bean sauce and red pepper. The chicken sandwich is priced at ¥540, the beef is ¥690. Both will be on sale at about 90 Burger King restaurants around the country. They are expected to be on the menu until mid-August.